Bulletproof partners with some of the world’s most renowned leaders in technology to equip you with cutting edge, complete IT solutions—helping you achieve your objectives in innovative ways. We combine our partners’ industry-leading technology products with our comprehensive IT services to produce better results for your business. To discover how our partners’ technology and our expertise can combine to solve your IT challenges, get your copy of the Bulletproof Capabilities Guide. As one of Microsoft’s experienced partners—with over 100,000 (and counting) successful migrations to Office 365 under our belt—we help organizations achieve better productivity, collaboration, and compliance with Microsoft products. Our team of Microsoft Certified Professionals can architect, design, deploy, and manage applications no matter where they’re located—including on premises, via private clouds, Office 365, or Microsoft Azure. Bulletproof was Atlantic Canada’s first Certified Office 365 Deployment Partner and we are the first data center provider to facilitate an entire Microsoft Azure migration in Canada. As a Dell Platinum Partner, Bulletproof helps customers eliminate IT complexity and create greater efficiencies by combining superior hardware, software, and services. Through its channel program, Dell offers Bulletproof customers greater value and choice, enabling them to invest in cost-effective solutions that help drive business growth. Bulletproof was the recipient of Dell Canada’s 2015 Enterprise Solutions Growth Partner of the Year for the Eastern/Central/Western Region. Fortinet’s mission is to deliver the most innovative, high performing network security fabric to secure and simplify your IT infrastructure. As a Fortinet Gold Partner, Bulletproof has successfully deployed hundreds of Fortinet Next Gen solutions. Our certified team ensures your security architecture installation is seamless. Beyond install, we offer ongoing advanced firewall and security event monitoring services through our state of the art Security Operations Center. For in-depth information about the current state of your network, contact us to receive a FREE Fortinet Cyber Threat Assessment which covers key areas of security threats, productivity and performance. Bulletproof understands the importance of protecting your critical business information. As a Veeam Cloud Solutions Provider and a Veeam Pro Partner, we leverage Veeam’s renowned Data Protection technology to help our customers achieve unparalleled availability for all of their applications and data workloads. We’re also a proud reseller of Veeam® Availability Suite™ which delivers something fundamentally different: Availability for the Always-On Enterprise™. This technology enables any IT service applications and data to be recovered within seconds and minutes by leveraging advancements in server virtualization, modern storage, and the cloud. 96% of Veeam recoveries are within recovery time objective (RTO) service level agreements (SLAs), compared to 78% for other solutions. Bulletproof is CISCO’s first IP Video Surveillance partner in Canada. We’re Unified Communications certified and have helped organizations improve communication and achieve outstanding ROI with Unified Communications, including the University of New Brunswick, who saved $4 million in communications and teleconference costs.  Bulletproof has teamed up with Beauceron to take a human-centric approach to cyber risk. Together, we help organizations transform their greatest source of vulnerabilities—people, process, and culture–into their greatest security asset through our Security Aware program. VMware is the pioneer in virtualization and an innovator in cloud and business mobility, serving more than 500,000 customers globally. Bulletproof partners with VMWare to enable our customers to achieve both freedom and control by running, managing, connecting, and securing their applications across clouds and devices in a common operating environment. Barracuda MSP program enables Bulletproof to offer multi-layered security and data protection services to our customers through award-winning products and purpose-built MSP platform. Bulletproof specializes in Barracuda’s Office 365 protection offerings as well as the Barracuda Backup offerings to ensure our customers have the peace of mind they need to focus on their business knowing Bulletproof and Barracuda have their back! We’re always working with our global partners to provide you with the most innovative, cost-effective IT solutions to power your business. To learn more about how Bulletproof and our world-renowned technology partners can transform the way you work, contact us today.